B&C is active in different countries across Europe, in retail, projects and the DIY market. The main office of B&C is located in Nunspeet, Netherlands. Here, the holding is established with all the central services and the creative department Trends & Design. B&C’s offices are located in the Netherlands, Denmark, Norway, Poland, France, Spain and Italy. Sourcing takes places worldwide with our own purchasing office in the Far East (Taiwan). In total, more than 825 professionals are employed at the B&C Group. B&C Windowfashion is the company behind the brand bece® and sells custom-made products for European countries via a dealer network. Window decoration is supplied under the bece® brand, but also for numerous private labels. Since its founding in 1971, B&C Windowfashion’s ambition has been to make contemporary and high-quality window decoration for every room in the home. The company Stila sells customized window decorations in Scandinavia. The sales office is located near Copenhagen. Stila remains the primary brand, but Stila also supplies window decoration under private labels. With over 60 years’ experience in the industry, Stila is a major and leading player on the Scandinavian market. Trendiy develops, assembles and distributes a complete range of window decoration inspired by the latest interior design trends. Trendiy contributes to a cosy and more comfortable interior with products accessible to a wide public. The focus is on international DIY-retailers, home decoration chains and web shops. With a personal, local approach and by using innovative solutions Trendiy supports its retail partners to meet the needs of the consumer. 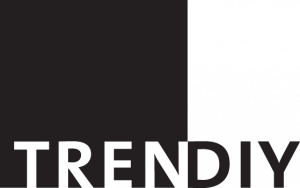 As a result of this Trendiy has become market leader in France, The Netherlands and Belgium and holds a strong position on the UK, Spanish and Italian market. In a modern and efficiently controlled production facility (12.000 m2 ) over 350 employees assemble many hundreds of window decoration products per day. The focus is on customer satisfaction in terms of quality and delivery time. NE DistriService represents the link between the companies and their customers, providing a sustainable and CSR-friendly service. Since 1988, NE DistriService has been a chosen logistics partner for many companies operating within the window decoration sector. NE DistriService specializes in the transport of fragile and long products (window decoration) and (curtain) carriage. Decoratum is a producer of window decoration and is the Head office for the Eastern European market. The assortment consists of standard sizes and made to measure window decoration. Decoratum delivers products to Poland, Russia, Ukraine, Romania and Turkey. Since 1949 the company Royal Solskjerming has been a well-known and respected name in the Norwegian window decoration market. Located in Haugesund and Oslo, Royal Solskjerming provides an extensive selection of made-to-measure window solutions to Norwegian retailers. With broad and innovative product offerings, Royal can, position itself in a unique way in the Norwegian and Scandinavian market. BloomTheRoom is the Expert Centre of various e-commerce activities within the B&C Group. The strength of BloomTheRoom lies in combining the knowhow of online marketing with years of experience in traditional marketing and development of window decoration. The Expert Centre is formed by passionate specialists who work together on creative concepts in the field of omnichannel, for B&C’s business units and various other clients.